Adapted from an ancient ritual from the island of Java, Gommage Aromatique aux Epices is an exceptional scrub enriched with the toning effects of spices. 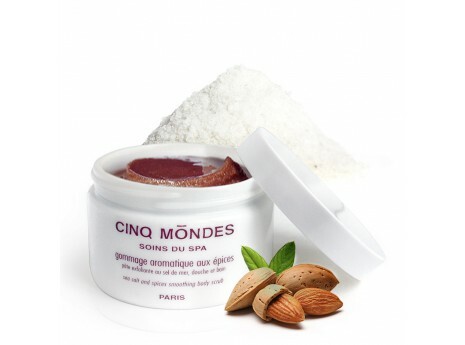 Its blend of Sea Salt and Almond powder has an exfoliating action which purifies the skin, whilst Vanilla oil and Carnauba wax soften the skin. 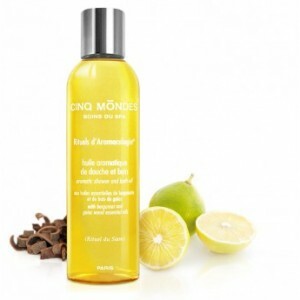 Thanks to the essential oils of Cinnamon and Nutmeg, this unique product helps you to deeply unwind and reenergise. Skin regains its radiance. 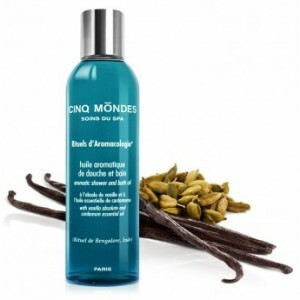 Perfect for preparing skin for tanning.